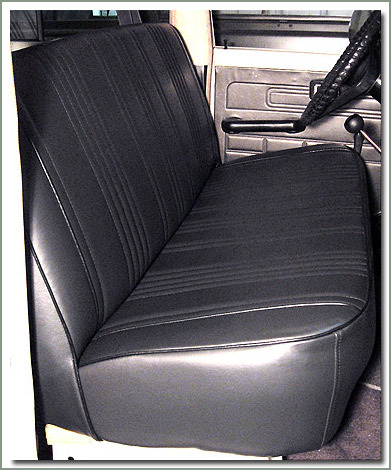 SOR has reproduction upholstery kits for your FJ55 Wagon. 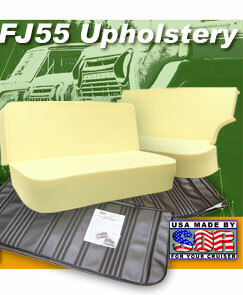 Upgrade your old worn out seats to our newly designed FJ55 Upholstery Kit that includes high density seat foam. Sewn to match the original factory design; contoured in the original factory shape but made for more comfort and support. 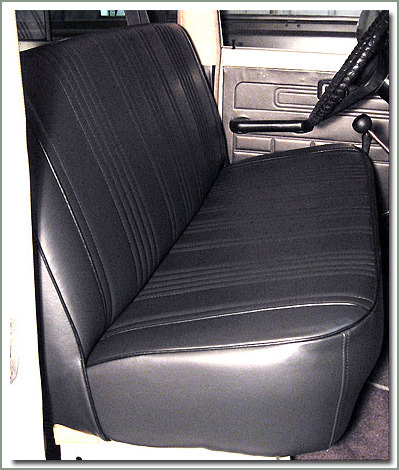 These upholstery kits include full size, high density foam cushions for the back and bottom of each seat. Time alone deteriorates the foam so chances are your 30 year old foam is toast. 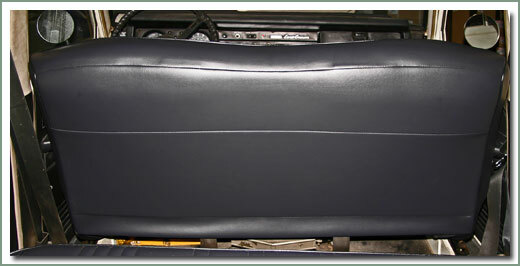 The Deluxe FJ55 seat upholstery is manufactured from high quality, dark gray marine grade vinyl. Excellent quality workmanship, top stitched with matching welted seams. Available for front and rear bench seats. Kit includes hog rings, retainer wires and complete instructions for installation. FRONT. 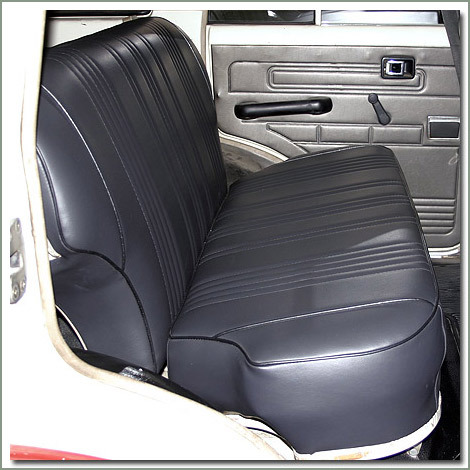 Fits 1968-9/75 FJ55 - FRONT - Kit includes upholstry back rest and bottom bench seat, plus high density reproduction foam back rest and bottom cushions to make your seat better than new. FRONT. Fits 9/75-7/80 FJ55 FRONT -Kit includes upholstry back rest and bottom bench seat, plus high density reproduction foam back rest and bottom cushions to make your seat better than new. REAR. 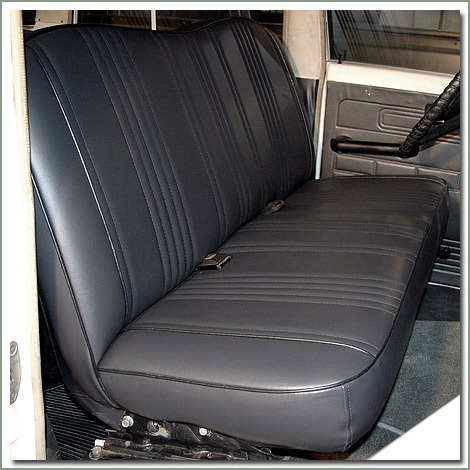 Fits 1968-7/80 FJ55 - REAR - Kit includes upholstry back rest and bottom bench seat, plus high density reproduction foam back reat and bottom cushions to make your seat better than new.